Reach Media’s Syndicated Talent Lead Overall Boost in Urban Radio Listening! *Overall Urban Radio showed a listener increase in Fall of 2015 compared to Spring 2015 according to Nielsen Audio’s Fall 2015 Nationwide audience analysis. The all-day increase of 1.1 % was led by strong morning drive performance which on Urban radio formatted stations had an increase of +7.6%. Several of the top syndicated radio shows owned by Reach Media had significant increases in their target age demographic on stations that carried the shows thru both rating periods. *Source: Nielsen Audio DMA, Fall 2015; Exact Times; Adults 25-54/18-49; 03/02/2016 affiliate lineups. REACH Media, Inc. is the leading cross-platform media company with networks and syndicated talent REACHing a predominately adult African-American audience of 12 million on a weekly basis, through broadcasts, digital media, events and initiatives. 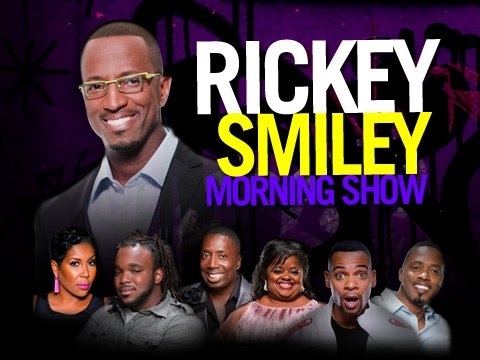 The company syndicates highly popular radio shows including The Tom Joyner Morning Show, The Rickey Smiley Morning Show, The Russ Parr Morning Show, The Yolanda Adams Morning Show, The D. L. Hughley Show, The Ed Lover Show, The Willie Moore Jr. Show, The Nightly Spirit with Darlene McCoy, Gospel Traxx with Walt ‘Baby’ Love, and Keepin’ It Real with Al Sharpton, REACHing 1-in-3 African American adults weekly. REACH Media, Inc. provides a strong digital presence through BlackAmericaWeb.com, websites for the syndicated talent, online streaming and mobile apps. Integrated marketing opportunities related to family, education, health and inspirational initiatives are accented by the Company’s commitment to the community. REACH Media Inc., founded in 2003 by Tom Joyner and CEO David Kantor, is a subsidiary of Radio One. Kelly Harrington | Communications Manager | REACH Media Inc.